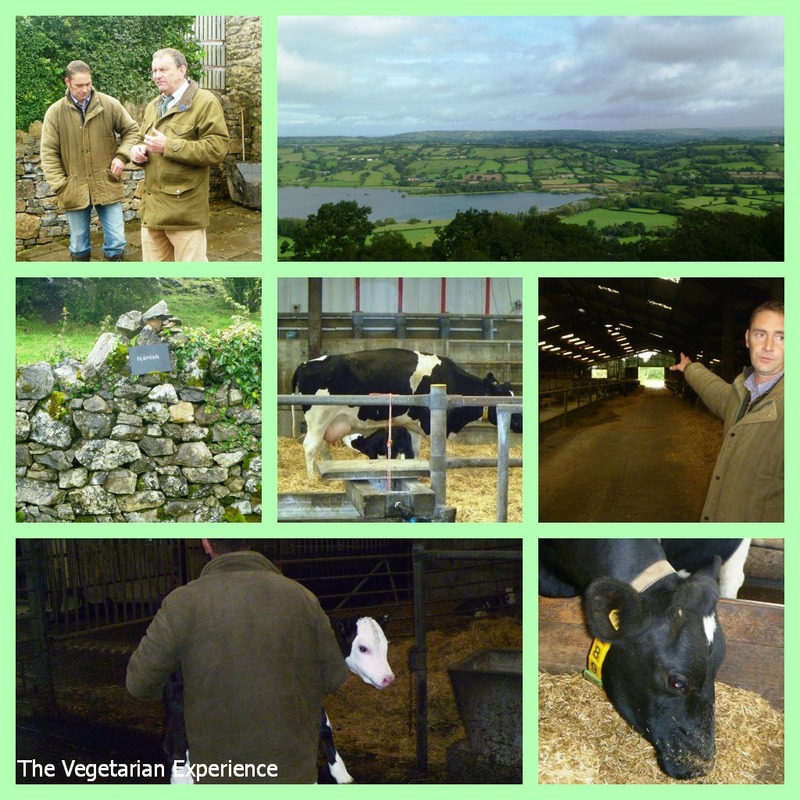 Recently I was invited to experience a Farm Discovery Day Tour with Yeo Valley. Having spent a wonderful day with them on a Farm and Garden Tour earlier this year, I was very excited to be attending as a day in the country is always a welcome break from the normal routine, and the Mendip hills are certainly a good place to contemplate life and the universe, as well as learn about farming and how important it is in the UK. After an early train ride from London, I was soon in the heart of Somerset and arrived at The Mendip Centre which plays host to Yeo Valley HQ. The Mendip Centre has recently been refurbished and looks fantastic – it’s definitely an interesting place to look around. Spread over 1250 acres, Yeo Valley are the only brand in the UK who produce organic yoghurt which is actually made in Britain. They produce ten million pots a year, and employ around fifteen hundred people at their Blagdon headquarters. Yeo Valley are part of a Omsco – the Organic Milk Suppliers co-operative and so they only use organic milk from British farms in their products. After a warm welcome, we started on our tour. I suddenly felt like a real townie as everyone donned welly boots, boot socks and country jackets to protect them from the inclement weather. I was dressed in my high street fashion boots and thin waterproof coat secretly hoping that the weather would hold out and vowing to buy some proper footwear as soon as I got home. Our host for the day was Les Davis MBE - a Mendips Hills stalwart and inspiring enthusiast and oracle of the history of the Mendips area. On our tour we were to learn about the area which produces Yeo Valley products and how the land affects the products which are made. It was soon evident that Yeo Valley is not just about yoghurt. It's a way of life! To start the day, we all bundled onto a bus to Wills Barn – the hub of Yeo Valley’s “Yeoniversity” where Yeo Valley carry out their schools work. Yeo Valley are so passionate about the land they are farming that they are really keen to share it with younger generations which they do through their varied schools work. Starting at Wills Barn, Les took us on a tour back in time as we looked at how the landscape has changed over millions of years, how the different periods of history affected the land and the kind of soil present in the Mendips. It turns out that the top six inches of soil are most important as they provide oxygen, and provide a bed for vegetation. At Yeo Valley they treat the soil with respect and with their organic farming philosophy they place a lot of emphasis on the health of the soil. Next we were off on a mystery tour through woodland and down the old Drovers Way which was traditionally used to herd cattle through the hills. As we ambled along, Les told us about the different types of leaves and plants along the way and described how their uses would have been second nature to our ancestors who would have used them in foods, medicines and to make fire - A far cry from our technologised world today, our ancestors would have manually farmed the land throughout their lives and would have had extensive knowledge of nature and it’s uses. 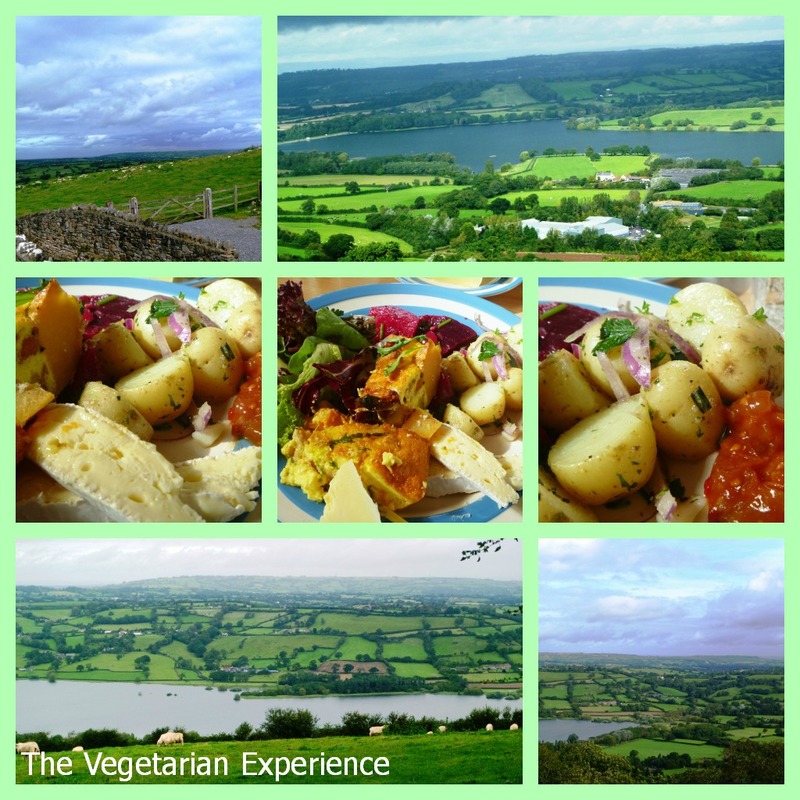 Our lovely walk led us out to those amazing views over the Mendips. We learnt about how the land was forever changed by the tsunami in Somerset in 1607 – fascinating stuff! We also found out about how the lakes were created when Bristol Water dammed the area to create reservoirs. We also learnt about the lake’s history, with the village of Moreton buried underneath. Legend has it that you can still hear the church bells ringing when river levels are low!! We continued our walk through the fields of one of the herds producing milk for Yeo Valley, back to Wills Barn. Jaime the chef and his team had laid on a wonderful lunch, much of which had been grown or made in the Yeo Valley gardens and kitchens. Always excited to eat something that I have not had to cook myself, I couldn't wait to tuck in as it all looked so good! You can tell that everything Jaime and his team serve is freshly prepared with care and attention as the presentation of the food was great and it all tasted absolutely amazing. There was lots of delicious potato and garden salad for the veggies, as well as fresh beetroot and a wonderful butternut frittata – I would love the recipe!! After a delicious lunch, we were invited to experience a true taste of country living by riding through the lanes on the trailer of a tractor to meet some more of the cows who produce milk for Yeo Valley. A quick bumpy trip across the Yeo and we were at the dairy barns - home to part of the dairy herd and where the cows stay when they are being milked or are ready to calf. Here we met a couple of the newest members of the Yeo family, including a very cute black and white Fresian. Yeo Valley has around 400 cows who produce over two hundred thousand litres of milk a year. It is evident that the cows here are extremely well looked after. Fed on an exclusively organic diet which features silage, cereal mix, hay and grass, the cow's treat of choice is salt. Cows love salt as it helps them to salivate. They produce three litres of saliva a day. Yeo Valley keep a track of each cow’s diet to make sure that the cows receive the nutrition they need. Yeo Valley are also different as when their cows get ill, they do not use routine antibiotics. Instead, the herdsman specialises in homeopathy and tries to treat all of his herd homeopathically where possible. It is clear that the herdsman and his herd are very attached to each other as when he approaches, there are hugs and licks all around from him and the cows!!. After our day learning about the journey of Yeo Valley products from field to plate, it would've been rude to leave without sampling some of their wonderful yoghurt, and so we went back to Yeo Valley HQ for some yummy yoghurt and to say goodbye for the day. As always, I had an absolutely fantastic day at Yeo Valley. It was wonderful to learn more about the company behind the products and to find out how much Yeo Valley are doing for organic, ethical farming in the UK. As I said previously, Yeo Valley are the only producers of organic yoghurt in the UK. Sometimes when we are buying our products in the supermarkets, we often know nothing about the company behind the products we put in our trolley. It was amazing to get a true insight into the company behind the products and to find out how much is going on behind the scenes - organic gardens, school education, ethical organic farming and much more! Yeo Valley is a truly British company, making delicious British products. With the yoghurt market saturated with non - British alternatives, sometimes it's lovely to find a company pouring their resources back into British farming, education and sustainability. It is clear that Yeo Valley really believe in preserving their little piece of the Mendip Hills for future generations to come, and as it’s such a wonderful place, who can blame them? Disclosure: I was invited on a trip to Yeo Valley in consideration for review. All views are my own and I was not asked to write this article. It looks like you had an interesting day out. Love the look of that Cornishware!